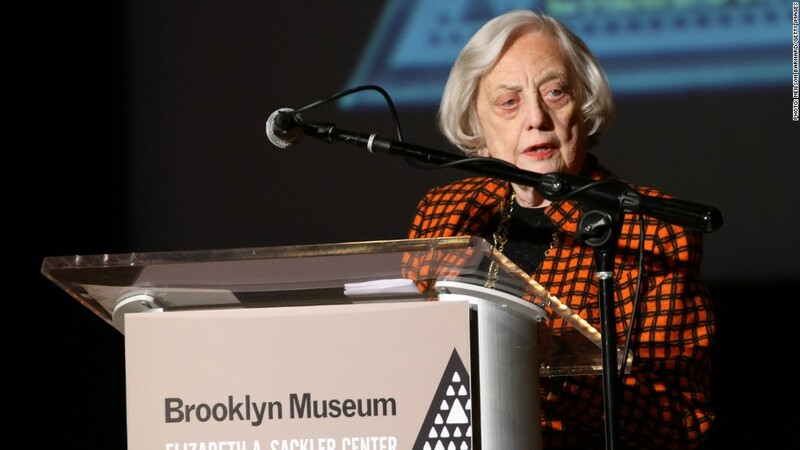 Muriel Siebert died Saturday in New York City. 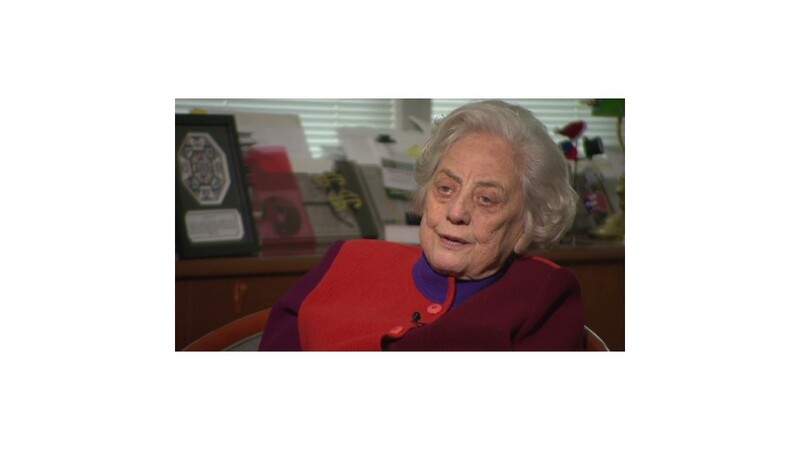 Muriel Siebert, the first woman to own a seat on the New York Stock Exchange, earning her the title of "First Lady of Wall Street," passed away on Saturday in New York City. She was 80. Called "Mickie" by her friends, Siebert arrived in New York in 1954 with no college degree and only $500 in her pocket. She would go on to break gender barriers at the exchange and earn a reputation as a hard-charging dynamo, eventually founding her own firm and dabbling in politics. It was a career that almost never happened. After making the journey from Cleveland to New York as a young woman, Siebert was turned down by Merrill Lynch because she never graduated from college. At her next interview, she fibbed that she had a degree. That got her hired at brokerage firm Bache & Co. as a $65-a-week trainee in the research department. She later became partner at two other securities firms, Finkle & Co. and Brimberg & Co.
"There were many women who would stay for six months or a year, and then go back to where they came from, she told Fortune in February. "But I found New York was a toy." Yet Siebert was continually frustrated that she was never treated as an equal. "I wasn't getting paid the commissions men were," she said. "I was getting half of what they got for the exact same orders." She asked a client where she could get a job that would pay her equally. His advice? "Don't be ridiculous! Buy a seat and work for yourself," she recalled. And that's what she did. She bought her seat on the NYSE in 1967 for nearly half a million dollars, breaking up an all-male world that had previously only allowed women on the trading floor as clerks. "I was always good at math. I happen to have a mind where I can look at a page of numbers and they tell me a story," Siebert told Fortune. "I understood financial statements from day one." Siebert's firm, Muriel Siebert & Co., would later emerge as a pioneer in the discount brokerage business. Her company today is a subsidiary of Siebert FInancial Corp.
Siebert "knew how to play with the boys -- and she played tough and built a good business," said Ted Weisberg, founder of competing firm Seaport Securities. "She was a groundbreaker, and then was welcomed into the club," Weisberg said. "She was a real master of her craft." Siebert later became the first woman to serve as superintendent of banking for New York State in 1977. During her tenure, she launched measures designed to prevent New York banks from failing. She forced some banks to merge, and other bankers to cut their salaries. According to a biography on her company's website, she would joke that "Superintendent of Banking" stood for "S.O.B." She resigned from her government post in 1982 to seek a U.S. Senate seat, but failed to capture the Republican nomination in New York. Siebert also pursued philanthropic endeavors, and started a program in 1999 to teach personal financial management skills to students. She was also a member of the Council on Foreign Relations, the International Women's Forum, and the New York Women's Forum. Joseph Ramos, the current COO of Siebert Financial, said that Siebert was a voice of "integrity, reason and sound business practices." "Those of us who worked with her will miss her spirit, leadership and great commitment to her clients and the securities markets," he said. Born in Ohio in 1932, Siebert never married or had children. She is survived by her sister, Elaine. -- CNN's Christina Romano contributed reporting.